Salvation And Survival: A Win For Hobby Lobby & The Constitution! 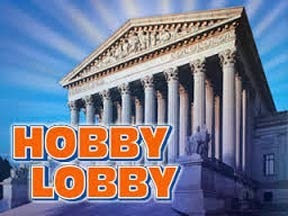 A Win For Hobby Lobby & The Constitution! I sat, holding my breath yesterday morning, awaiting the decision from the Supreme Court on the most important case before the bench, Burwell v. Hobby Lobby. As you should know, the case was to determine whether the Free Exercise Clause of the U.S. Constitution and the Religious Freedom Restoration Act (RFRA) can exempt a company from federal government regulations requiring employers to provide contraceptive coverage to their female employees. 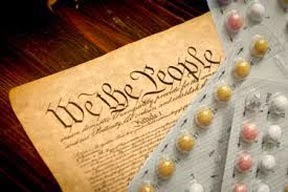 In a 5-4 decision, with the majority opinion written by Justice Samuel Alito, the Court gave a narrow ruling that "closely-held corporations" can't be forced to provide contraception. Basically, the Court held that private, family-owned businesses can claim religious exemption to being forced to provide certain contraceptive measures that are designed to end the pregnancy of a fertilized egg; in effect, resulting in abortion. Specifically, Hobby Lobby objected to four of the 20 contraceptive methods in the mandate; pills and devices that can work after conception, including morning after pills and IUDs. Essentially, the Supreme Court has voted that our religious convictions matter, and corporations can have a religious viewpoint under federal law. I have to admit that tears spontaneously filled my eyes, as I looked heavenward and thanked God. Perhaps He had heard and answered the collective prayers of Christians who asked that we not be forced to compromise our faith. Of course, the skeptics will point out that it was a narrow victory; far from unanimous, and is not a clear mandate from either the Court or the populace. They will argue that women, who wish to receive these methods of birth control, will be denied, and the government was only trying to require businesses to provide a health care option the women need. But Justice Anthony Kennedy, who wrote his own opinion, pointed out this mandate did not come from an elected body; not from Congress, or one of the three elected Branches of government; but from an unelected bureaucracy, namely from the Department of Health and Human Services. He found it troubling that an unelected bureaucrat (at the time, Kathleen Sebelius) could set down such sweeping laws that effected the electorate. That is clearly unConstitutional! I will admit that I'm a little confused about the dissenting opinion coming from Justice Ginsberg, who saw this as a gender equality issue in the workplace. Already, opponents of the Court decision are misleading the public by saying that employers are exempt from providing all contraception methods. In truth, only four of the twenty were excluded. Then of course, we are hearing a montage of talking points on the injustice towards women, and how this is part of the continued "war on women." But these arguments just don't hold water. The Court ruled that women who want these contraceptions are not banned from getting them; they have other ways to receive them, like buying them for themselves (as they had been doing for the 30 years before the Affordable Care Act). Or if HHS was so concerned about the availability of free contraceptive methods, why didn't they pay for them? (Of course, if the government paid for them, it would mean the American taxpayer would be footing the bill, right?) In the end, the Court decided that this mandate intruded upon the "individual conscious" of Hobby Lobby's owners, and DID prohibit them from the "free exercise" of their religious beliefs, which is a violation of the First Amendment. It gives me a small glimmer of hope that our national foundation of religious liberty is still holding strong. Keep praying, America! Joshua 24:15 "But as for me and my house, we will serve the Lord."